It’s no longer news that both low-income Americans and minorities are more likely to suffer from chronic disease. Researchers are exploring the relationships among poverty, stress, and health, but so far have few answers about how to address the problem. This crisis looms very large in urban public housing communities— long the housing of last resort for some of America’s most vulnerable families. Urban Institute research in Chicago and other metros finds mortality rates in public housing developments four times the national rate. Residents report shockingly high rates of obesity, diabetes, asthma, depression, and hypertension. Many are so debilitated by illness that they can’t work. I got sick, due to high blood pressure. And I kept constantly getting sick and they [her employer] told me that they were going to end up having to let me go or I need to do something to take care of myself. Because every time I got sick on the job they got tired of me calling the paramedics, saying [I’m] making them their store look bad….I was the cook. Standing around that heat really got to me. When I got sick, ended up in the hospital, and then the doctors they checked me out [...] I was in there for about no more than about an hour. And then they sent me home. And when I went home I didn't have no doctor statement, and then that's when they fired me. Rhonda’s story isn’t some outlier picked for effect. It’s indicative of a growing crisis that is increasingly prompting housing authorities to find ways to promote health and wellness. 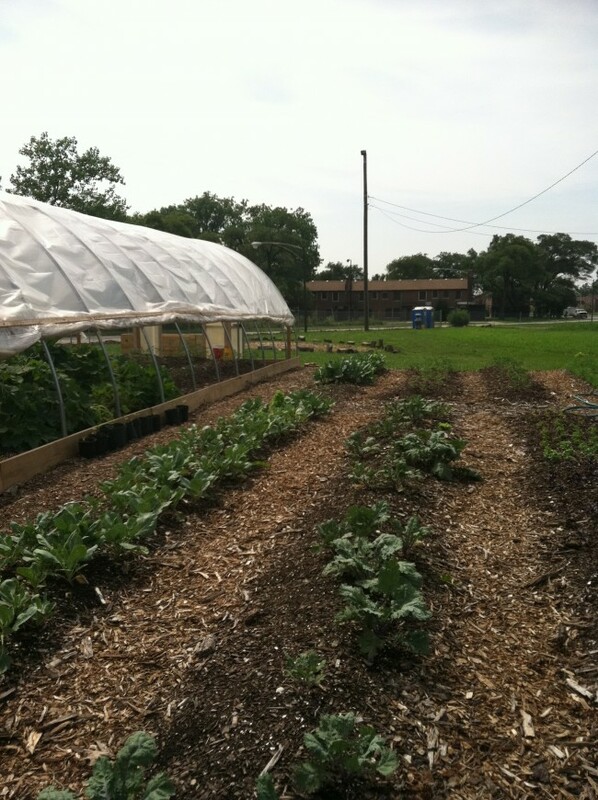 In August, I introduced MetroTrends readers to Chicago’s Altgeld Gardens, a farm where youth are learning to grow fresh vegetables for their community. Portland’s housing authority, Home Forward, has taken this idea even farther. New Columbia, Portland’s largest HOPE VI site, has a community garden that feeds 80 families. A group called Janus Youth runs a youth farm project off-site that teaches young people about gardening and healthy habits and operates a resident-run store in New Columbia that sells fresh produce, healthy snacks for kids, and other nutritious food. The Housing Authority covers the rent and utilities so the store can break even without selling cigarettes, alcohol, or lottery tickets. Home Forward also encourages cycling by partnering with organizations that provide bikes and teach bike repair. Its hope is that healthier eating will help public housing residents live longer, healthier lives.